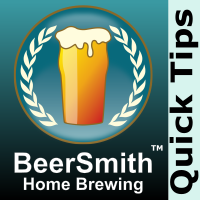 Today’s tip explains why you should not cover your pot when boiling up a batch of beer. An important function of the boil is to release a number of volatile chemicals including DMS that you don’t want in the finished beer. The one thing I always wonder: what about covering it to get it up to boil then uncovering it? It helps retain the heat, so I’m wondering if it’s a problem or not. I would absolutely remove it before you get a full boil. Also I don’t generally cover when heating as it tends to raise the pressure in the vessel so when you do uncover it you often get a boil over.